A bunch of different humans, with different skills in the art of killing, are kidnapped to another planet to be hunted by Predators. I think I've seen this one 3-4 times, so I must like it... As a big predator fan there's most definately things about it I do not like. But I think that after the two horrible horrible terrible Alien Vs. Predator films, this comes out as a nice and good movie. I like Adrien Brody as an acthor. He has always done a solid job. However in this movie the acting might actually be one of the worst things. But I blame the script for most of that. I like the idea of taking different "predators" from Earth and making them compete against some of the universe's best predators. Just to see what they're actually worth. But then again it seems a bit too stero typed when actually put together. 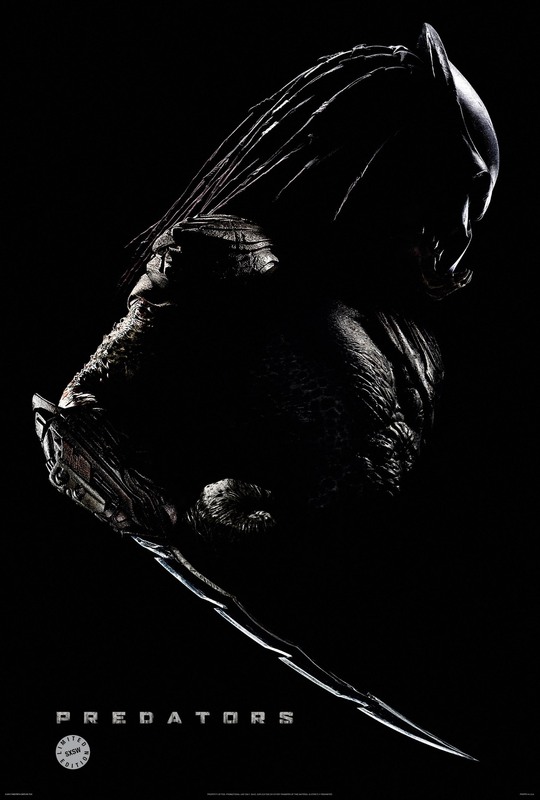 The movie is mainly about the individual encounters between humans and predators. And there's quite a few. All good. The over all flow of the story is not so good. But it works. I think that you'd have to a little bit of a predator fan to really enjoy this. But I'm biased like hell on that statement. P.s. the movie also features some romance, which in my opinion should be kept out of these movies. I mean how great is it that Predator 1 and 2 worked prefectly with out it? "What are you waiting for? Come on! Kill me! I'm here!" "Come on... Come on! Do it! Do it! Come on! Kill me! I'm here! Come on! Do it now! Kill me!"